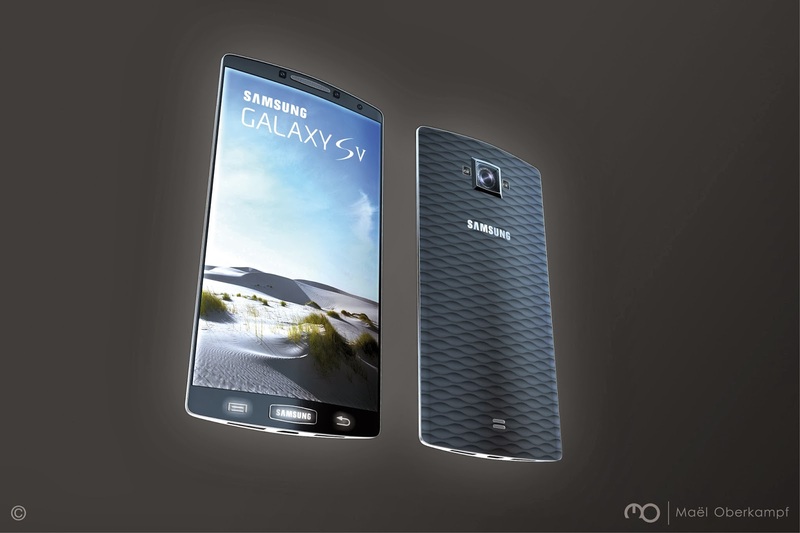 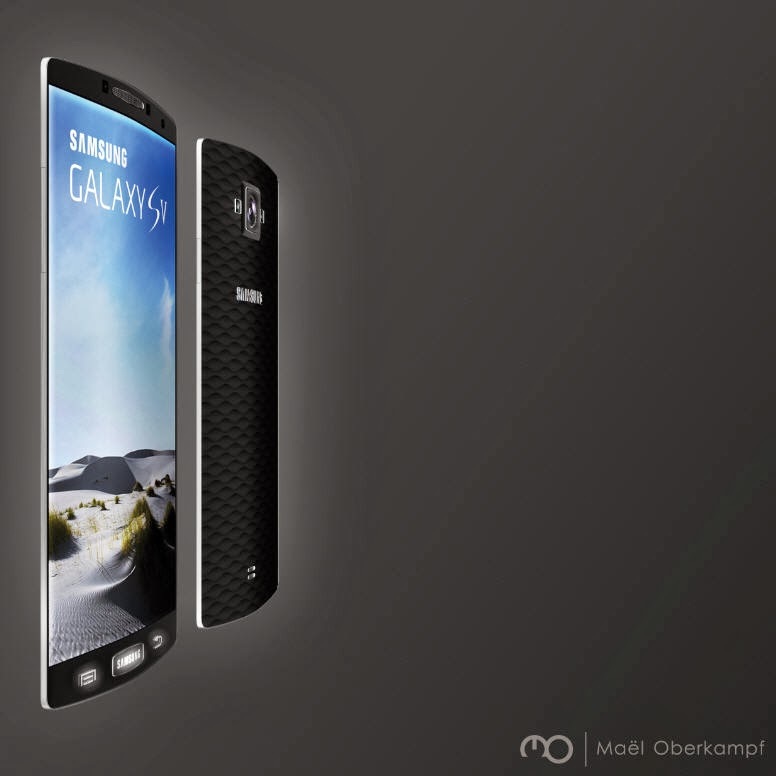 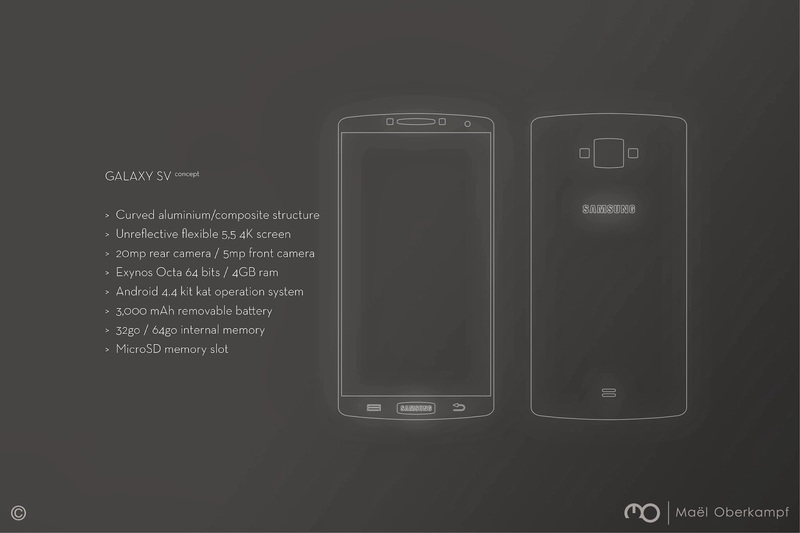 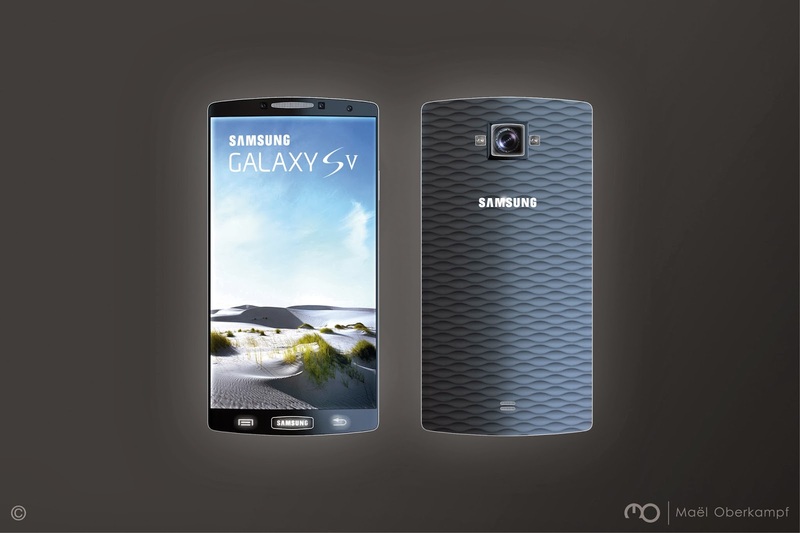 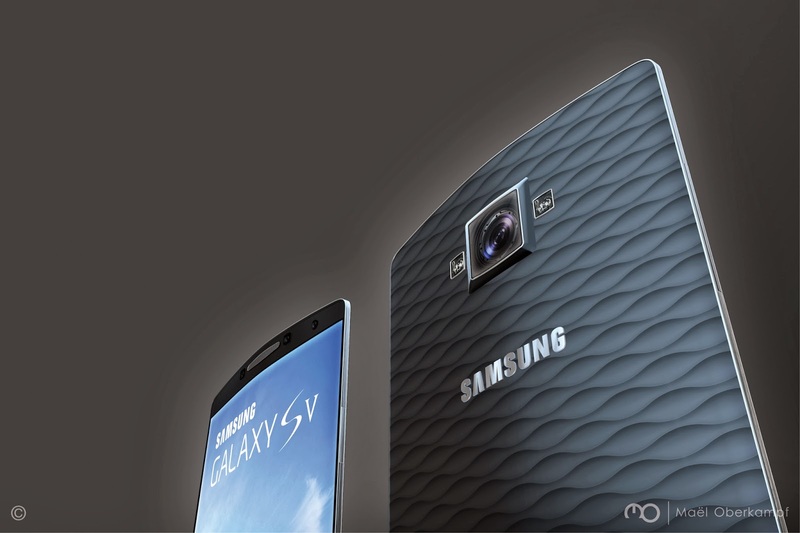 GALAXY S5 concept by Mael Oberkampf. 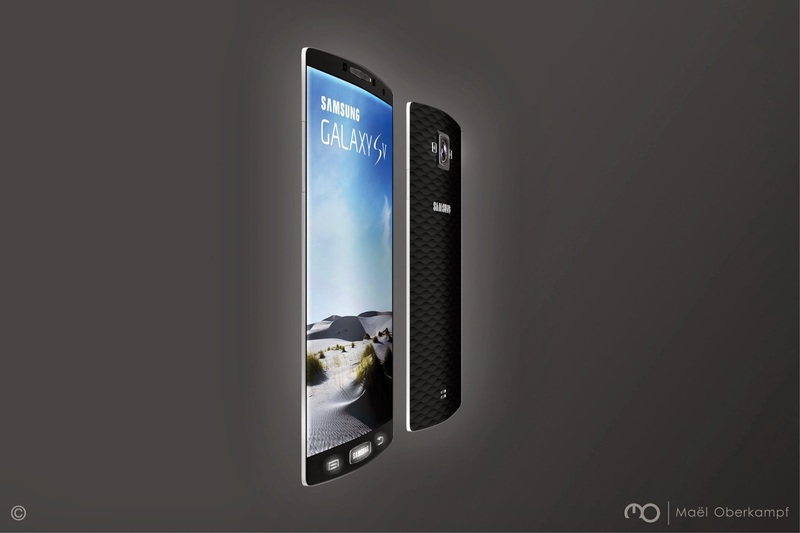 The idea is using the curved screen technology to create a slimmer mobile phone (specially on the edges). 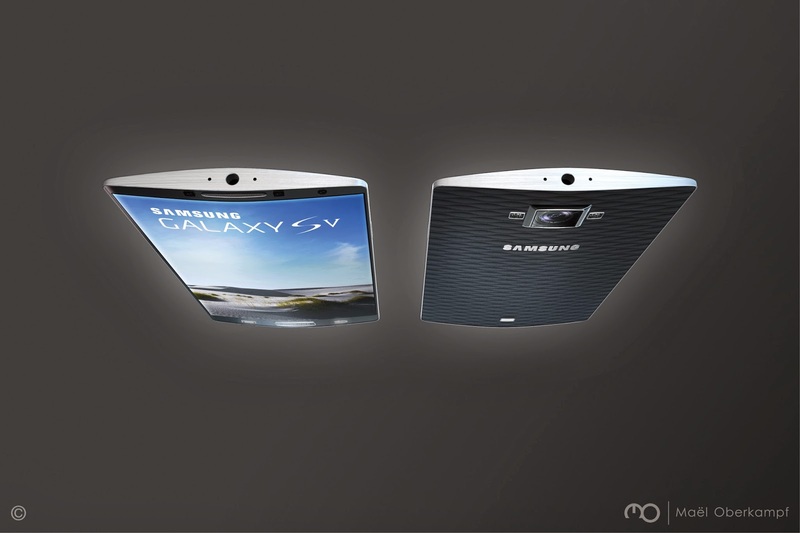 And put the Samsung logo on the physical button to get much more place for the screen surface at the top, also the rear part of the hull has a slight waves texture for better handling.